How does an Overall Quilter Membership work? 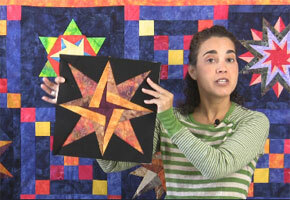 It’s an excellent way to learn quilting, learn new tricks or just brush up on your skills. 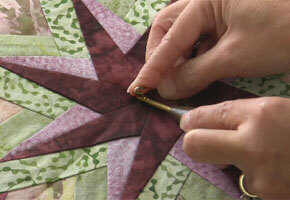 The price to become an Overall Quilter Member is only $7.95 per month. 30 day money back guarantee. If you are not 100% satisfied with your membership, you can cancel your subscription at any time during the first 30 days. I love her videos! She is so easy to follow, very thorough with instructions! Thanks for all the hard work on the videos! This is a great educational podcast. Aimee is an excellent teacher, a natural. The video is well made and the camera shows just the right angle to make it easy to understand. A very good video production. Aimee’s demonstration was very clear and easy to follow. Marc’s camera skills allows the viewer to see what is happening all the time, even moving with the hands. I particularly liked the tip about extra room for the pole. This is the sort of thing one does not think about until after the event when you would have to unpick and redo. Keep up the good work. This is great!!!! 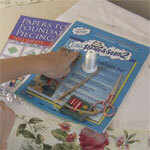 You learn it all in class, but it’s great to be able to refresh yourself when you’re working at home alone. Keep them coming! Thanks Aimee I am loving all your videos! Aimee, I have been enjoying the videos. Keep them coming…. I appreciate all of your hard work!